In his debut collection, Some Trees (1956), the American poet John Ashbery poses a question that resonates across his oeuvre and much of modern art: 'How could he explain to them his prayer / that nature, not art, might usurp the canvas?' When Ashbery asks this strange question, he joins a host of transatlantic avant-gardists-from the Dadaists to the 1960s neo-avant-gardists and beyond-who have dreamed of turning art into nature, of creating art that would be 'valid solely on its own terms, in the way nature itself is valid, in the way a landscape-not its picture-is aesthetically valid' (Clement Greenberg, 1939). 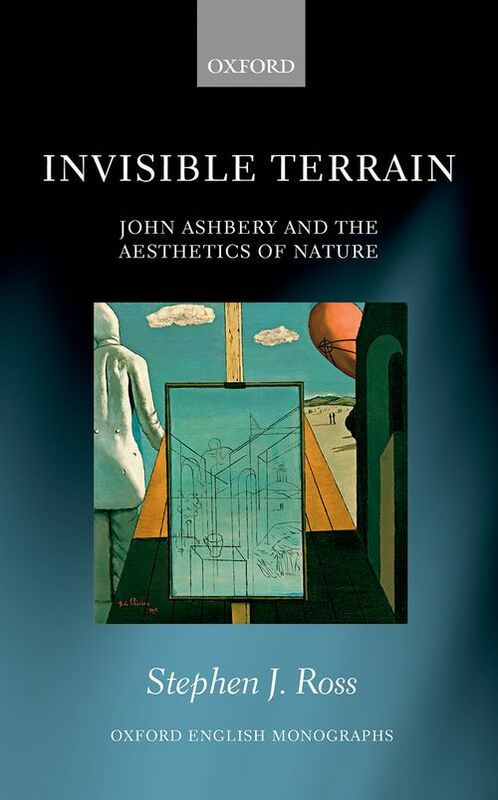 Invisible Terrain reads Ashbery as a bold intermediary between avant-garde anti-mimeticism and the long western nature poetic tradition. In chronicling Ashbery's articulation of 'a completely new kind of realism' and his engagement with figures ranging from Wordsworth to Warhol, the book presents a broader case study of nature's dramatic transformation into a resolutely unnatural aesthetic resource in 20th-century art and literature. The story begins in the late 1940s with the Abstract Expressionist valorization of process, surface, and immediacy-summed up by Jackson Pollock's famous quip, 'I am Nature'-that so influenced the early New York School poets. It ends with 'Breezeway,' a poem about Hurricane Sandy. Along the way, the project documents Ashbery's strategies for literalizing the 'stream of consciousness' metaphor, his negotiation of pastoral and politics during the Vietnam War, and his investment in 'bad' nature poetry. Dr Stephen J. Ross earned his doctorate from the University of Oxford in 2013. He is an Assistant Professor at Concordia University in Montreal, and from 2013-15 he was a Teaching Fellow in American Literature at the University of Warwick. He is co-editor of the forthcoming anthology, Global Modernists on Modernism (Bloomsbury Press), and is collaborating on the first complete translation and critical edition of Processions, the poetic masterpiece of the Yiddish American modernist Mikhl Likht. He publishes essays and reviews on modern and contemporary literature, and is a founding editor of the literary web-journal Wave Composition.